2 Bedroom Suite at Greensprings Vacation Resort in Williamsburg, Virginia! 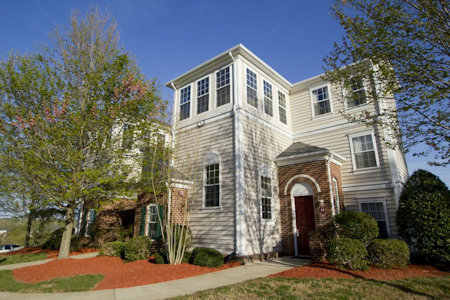 Greensprings Vacation Resort in Williamsburg, Virginia - Buy a 7 Night Stay in a 2 Bedroom Suite! 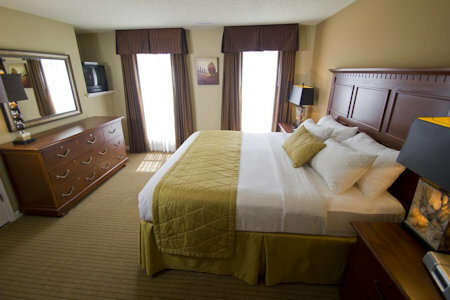 7 Nights in a 2 Bedroom Suite at Greensprings Vacation Resort in Williamsburg, Virginia! 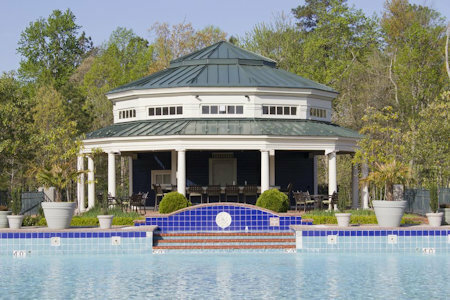 Greensprings Vacation Resort is adjacent to the Williamsburg National Golf Club, Virginia's only Nicklaus designed course. Amenities include both indoor and outdoor swimming pools, an exercise room, and lighted tennis courts. Resort units are on three floors with no elevator available. America's birthplace offers you historic sites to explore, many family oriented activities including Busch Gardens, Water Country USA, restaurants, and unmatched brand name discount shopping. Whatever you enjoy, you can enjoy it here. Your 2 BEDROOM SUITE will sleep up to 6 people. The unit has 2 baths, one king bed, a queen bed or 2 twin beds, and a queen sleep sofa. Each unit at Greensprings Vacation Resort is air-conditioned and has a full kitchen with a dishwasher, microwave oven, and a washer/dryer. Additionally they have a fireplace, telephone, two televisions, a VCR or DVD and whirlpool tub. The Following Check-in Dates are Currently Available for a 7 Night Stay! a different level - NO elevators, many stairs. No pets are allowed. Pleasenotify the resort if a late arrival is anticipated. A mandatory credit card imprint is required at time of check-in. US$100 hold is processed on the charge and refunded at check out. No cash or check accepted. Credit card only.